A couple of years ago I got a phone call from Martin Smith, the editor of the LA Times Sunday insert magazine. he was doing that week’s magazine with the theme of food. His art director found a photo of one of my art pieces through the website of the photographer, Brian Hagiwara, that did the photos with me. It was totally unsolicited by either of us. Martin interviewed both Brian and I by phone. Here is the article. When filling serving size or individual dishes with creamy things like whipped potatoes, dips, mayonnaise or puddings, create a tiered dollop look. Start by filling the bowl halfway. Then with a large spoon heaped with pudding fill around the edge of the bowl toward you while turning the bowl away from you with your other hand. Refill the spoon each time. Continue filling by slowly spiraling toward the center and mounding each consecutive level higher as you go. You may need to use smaller spoons as your near the center. Finish with a twist and a lift to make a peak. My cousin, Roberto, was making Spaghetti alla Carbonara for me in his apartment on Via Fonte Delle Amore in Rome. In those years he was a spy for the Italian government, but now he has retired from that. It was always interesting visiting him. Once he took me to Cine Citta, the big film studio just outside of Rome to meet with his old friend Federico Fellini. Roberto had a part in Fellini’s Film, “La Intervista”, playing himself, Chief Inspector of the Roman Police. Roberto taught me a lot about Italian cooking. It is a great passion of his. Romans don’t usually use cream in their Carbonara, he told me, “It is an American addition”. A Carbonara is a coal minor. Spaghetti of the coal minors became one of my favorite dishes. It is so delicious, fast and easy to make, that it is a perfect impromtu dish for any occasion. I make it with many variations, depending what I have in the house at the moment, keeping the egg yolk, butter, grated cheese and shallot as constants. Here is a meatless rendition that subtitues morel mushrooms for prosciutto and fettucine for spaghetti, and an addition of piselli (green peas), which is very typical in Italian cuisine. The recipe easily serves two very hungry people or four light eaters. 1. Soak the mushrooms in the water for 10 minutes to hydrate and soften them. Drain thoroughly and slice into 1/4 inch rounds. 2. Heat the oil in a skillet and saute the morels, red pepper and shallot until golden, about 5 minutes. Add peas and heat through. 3. Meanwhile bring a large pot of salted water to a boil. Cook the Fettucine until al dente (to the toothe) about 8 minutes, or until it is done the way you like it. 4. Put the egg yolks in a large bowl and whisk in the softened butter and black pepper. Drain the pasta and quickly add to the egg and butter mixture. Toss immediately. Add the morel, pepper and shallot mixture to the pasta and toss again. Italians call that last addition the salsa, even though it isn’t very saucy. Add the cheese, parsley and salt to taste. Add the extra parsley and shaved cheese to each plate for panache. Serve at once with a great Tuscan wine. Enjoy! If a quick temperature change is needed, be it warmer or cooler, for gelatins, sauces, gravies, toppings, puddings or any homogenous soft food, it can easily be done by using the double bath system. Use two stainless steel bowls of the same size or with one just larger than the other. Put the sauce in the smaller bowl, and equal parts water and ice ( for cooling), or boiled water (for heating), in the larger bowl. 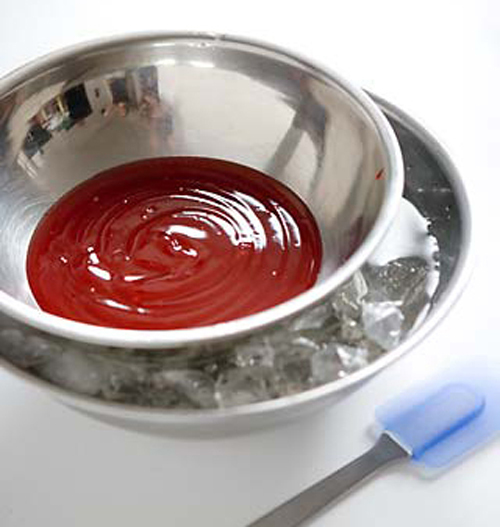 With a rubber spatula, gently stir the sauce to the desired temperature. Use pre-made products to save time. Today’s food companies and supermarkets cater to the busy “non-cook” cook. Always read the labels for quality assurance. Pizza dough from your local pizza parlor is available for the asking, with a small price attached. There are also pizza doughs in the supermarkets in the dairy case and bread department. 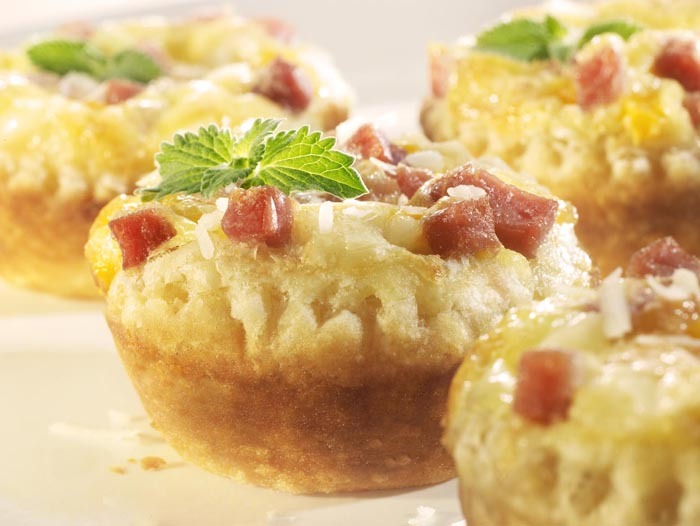 Frozen bread doughs can be used for pizza as well as for bread concoctions. Frozen pie doughs are available in most stores in either pre-formed shells in tins or in rounds you can place in your favorite pie tins or free form onto baking sheet pans. 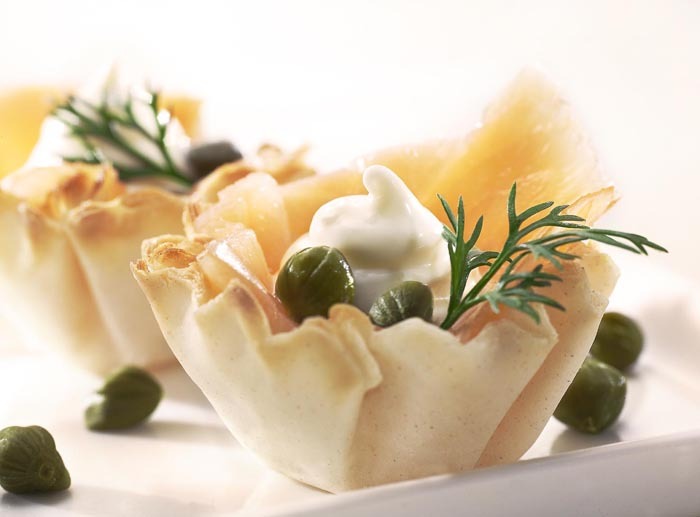 Puff pastry and filo or phyllo dough come frozen in sheets or pre-formed and par-baked. All are excellent starting points for entrees, hors d’oeuvres, or desserts. Frozen fruits and vegetables are available in any season. When you read the labels carefully, you can sort out the ones with added things you may not want, like MSG, sugar, salt or other preservatives. Minced garlic and onions, and other flavor elements, such as herbs and vegetable and fruit pastes, come jarred and in tubes. Beef, chicken, veal, fish and vegetable broths come jarred, canned and powdered without additives. Shop in health food stores which carry a number of additive-free products. A growing number of grocery stores are beginning to carry more healthy choices as well. Sauces and soups that come frozen or canned, as mixes, or pre-made can be of high quality as well. Look around, test them out. They can spruce up a lot of dishes. The recipe section of this site will give you more ideas. Sorbets, preserves, aerosol whipped cream…wafer cookies, pound cake, ice cream…With a little ingenuity, you can create splendid confections for the eyes and mouth. Tableware frames your food creation. Simplicity tends to enhance appetite appeal. Neatness counts, but the arrangements need not be fussy. Accessories add that extra touch. Too much pattern on plates and bowls can compete with the look of the food. Solid yet bold colors can really bring out the best of your ensemble. A border or texture can also work well. Complimentary table cloths or placemats and napkins, whether cloth or paper, are expansions of the composition. Glassware, flatware, spice shakers and servers indicate added thoughtfulness for the table and are almost always appreciated. When a vase, some flowers, a candle or three are added, they are often the touch that says “I care”. The compositions need not be fancy. The sum total should not be overdone. The harmony of the whole gives appetite for body and soul. Just as the food on the plate is a composition unto itself, it is also a sub-composition to the table, as the table is to the room. It is all an expression of you.